Advertising world can be a confusing place for creative minds because sometimes their creativity leads them to face big difficulties. For example, there was nothing bad in Surf Excel’s latest ad but it received backlash on social media causing big trouble for the brand and the marketing team. 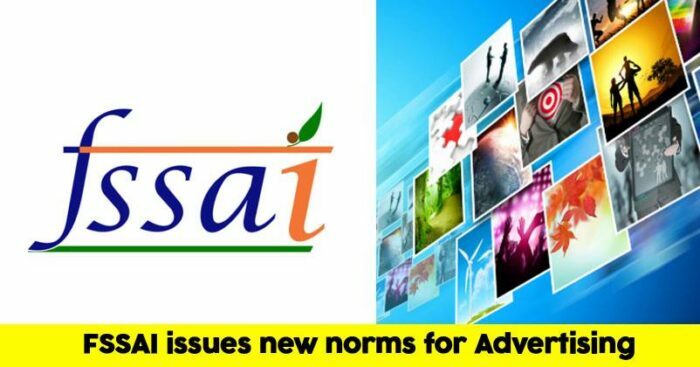 Noticing such incidents, FSSAI has proposed a new framework under which food brands are prohibited to advertise the products of other manufacturers so as to promote their own products or influence consumer behavior. New regulations also talk about a restriction on words and phrases such as ‘natural’, ‘fresh’, traditional, authentic, real or so unless under special conditions. FSSAI has taken this decision knowing the fact that a lot of times comparison creates a bias and can push consumers to make incorrect decisions. “Comparative advertising is not the best way to communicate with the audience, as consumers must be left free to make these comparisons. Comparative ads employ selective information sharing and therefore have a potential to mislead and must be avoided,” one of the Advertising experts named Saurabh Uboweja said. Raghu Bhat, founder & copywriter, Scarecrow M&C Saatchi asserted that one brand’s comparison might be another brand’s defamation. “A comparison between brands can be considered ‘relevant’ information but ultimately, it’s a fight for credibility,” he added. According to Agnello Dias, co-founder, chairman and chief creative officer, Taproot India, misleading is a subjective term under the current advertising guidelines. “For example, celebrity ambassadors for NGOs pushing vegetarianism falls in a very grey area and could lead to manipulation, vindictiveness and corruption,” Dias said.